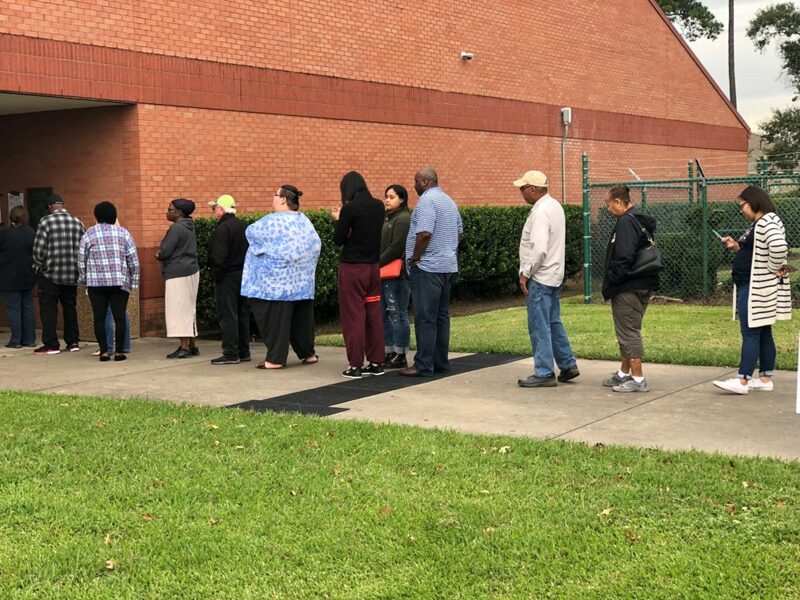 People line up to vote at the Harris County Public Library North Channel Branch, in the Channelview area, on October 22, 2018. The Early Voting Period for the 2018 midterm election in Texas begins today, October 22, and runs until November 2. Harris County Clerk Stan Stanartis is encouraging voters to visit www.HarrisVotes.com and select “Find your Poll and Ballot” to review their personal sample ballot before heading to the nearest early voting location to vote. Of the contests on the ballot, approximately 15 percent are statewide, 79 percent are countywide and 6 percent are district contests. In all, over 70 percent of the contests appearing on some voters’ midterm election ballot are for judicial positions. “In Harris County, during the early voting period, forty-six locations will be in operation countywide for the county’s registered voters,” said Stanart, who is the chief election official of the county. 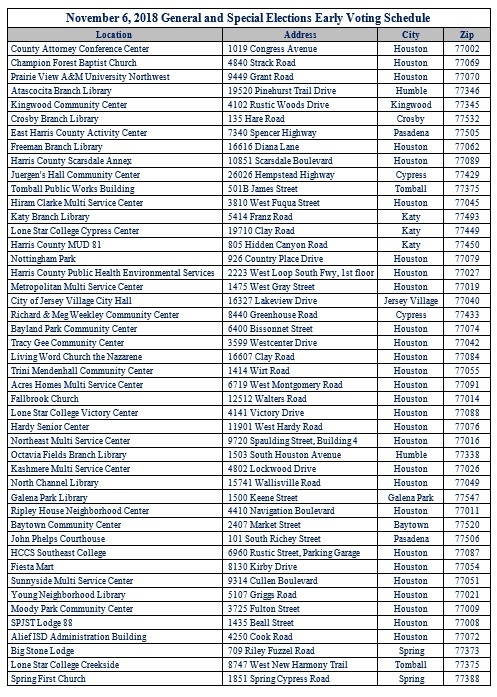 Additional voting information, a complete early voting schedule, or a list of acceptable forms of identification to vote at the polls is available at www.HarrisVotes.com or by calling the Harris County Clerk’s office at 713.755.6965.